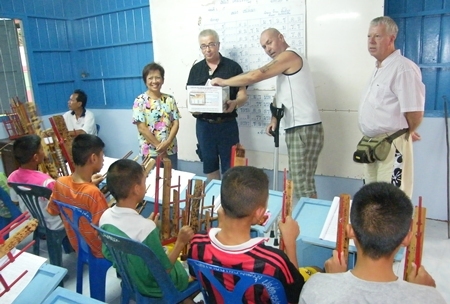 Two Norwegian expats donated 50,000 baht to the Banglamung Home for Boys for the center and its residents’ musical talents. 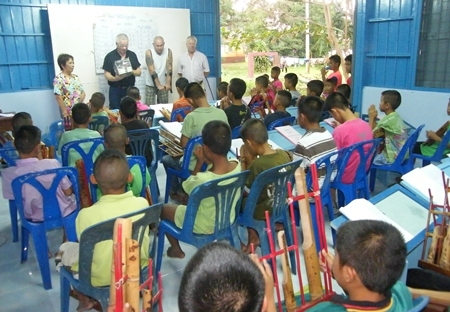 Philanthropist Arthur Sandberg, 53, and retired journalist Arild Norboee presented their donation Nov. 13. 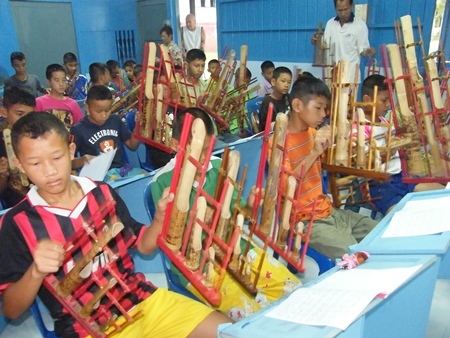 The funds will go toward expansion and rehabilitation of the home, as well as the purchase of angalungs, a traditional Thai musical instrument, for use in music lessons. 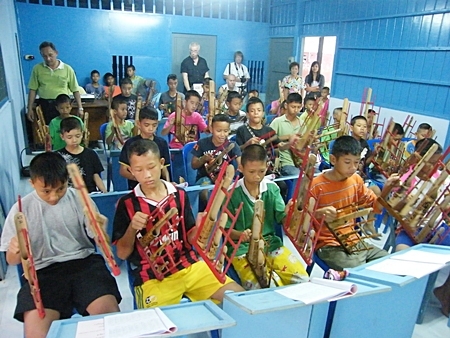 Arthur Sandberg and Arild Norboee (back, right) listen as the youngsters play a song on their angalungs. Both men promised to organize fund-raising activities to continue to support the home, which has cared for boys ages 7 to 18 since 1956. 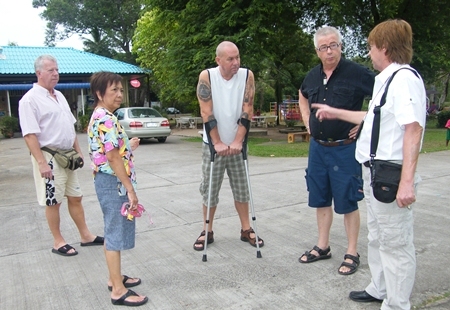 The shelter has relied upon public donations, lotteries and charity to stay open. What happens to the body as we age?